This 16,000 s.f. facility accommodates 85 brokers and support personnel. 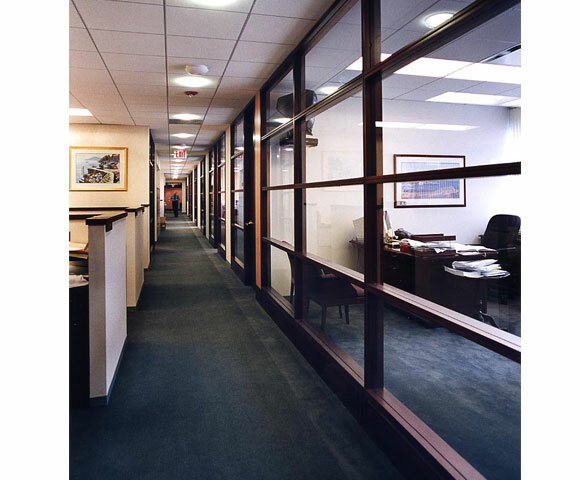 Extensive millwork in the reception area add an elegant feel to the space, and wood-framed glass perimeter partitions give light to open office area.